Pinball is one game that most of us are familiar with, even though it is played in its physical form in very few places in India. The reason being it is one of the default games available on the desktops running on Windows operating system. Those who have played it on real pinball tables are very well aware of the excitement level associated with it. Playing pinball on the computer screen is a fun, but it nowhere close to the experience that one gets while playing it in real. However, the tablets have allowed making pinball games more exciting and virtually fun-filled . 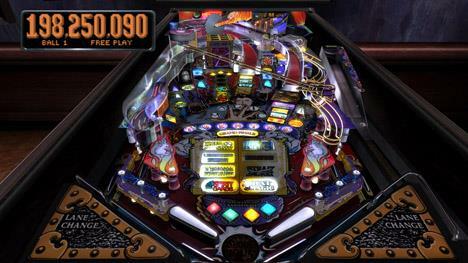 This is because unlike computers, where the only way to play this using keyboard, pinball games can be played on tablets through various controls on the screen. Also the physics comes into the picture while playing on the tablet which is not possible on desktop. It is little surprising that there are plethora of pinball games with various operating systems dedicated to the tablets. Android is naturally the most popular operating system lately and there are good pinball games for this OS as well. 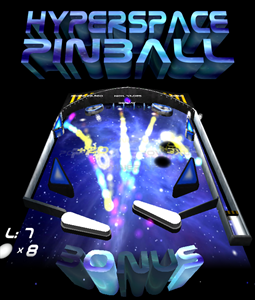 Here we present before you four best pinball games to pay on your android based tablets. It is unarguably the best Pinball game to play on Android. There are a lot of reasons, why one should play this particular game. The graphics are topnotch and make you fall in love with them the moment you launch the game. The tables are very much complicated and yet detailed, while the controls are very simple. The sounds are amazing too and you will prefer playing with the sound turned on. The tables are based on different themes like Sorcerer's layer, Star Wars and Marvel Universe, along with new additions like paranormal and epic fantasy. Zen Pinball HD can be played on android version 4.0 and above. Now coming to the main question– is the game free for the users? The game can be downloaded for free and Sorcerer's Lair can be played on it. But to play on the other tables, the user need to shell out somewhere between $.99 and $1.99. Now the game's sequels can be played on multitude of consoles like Xbox 360, Wii U and PlayStation 3. 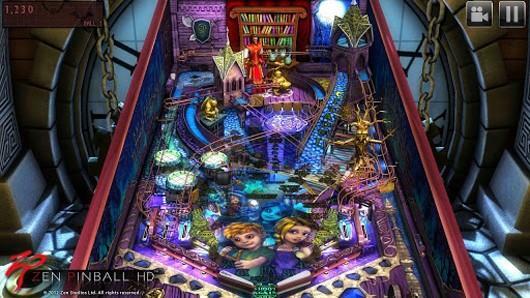 It is more of a traditional pinball game as compared to Zen Pinball HD. So the same approach is visible throughout the game whether it is tables, sounds or any other feature. The tables are very similar to the real gaming tables and even the sounds in the game are very close to the original sounds. So, the Pinball Arcade is a pretty good game for the pinball aficionados, though it might be little dis-interesting for new players, since the game hasn't been designed optimally for the tablet. The tables are not that beautifully designed and overall user interface is not so conducive for the users playing it for the first time. Nevertheless, it is still a very good game for the traditional pinball lovers. However the game is much more expensive than Zen Pinball HD. The base game, however, can be downloaded and played for free with one table. The additional tables can also be played for free, but only up to a certain score. If you want to see your name among the top scorers of all time, you need to pay $2.99 to $3.99 per table. You need to have android version 2.2 and above to play Pinball Arcade on your tablet. The focus of the developers of this game was firmly on the graphics and the action part. This is very much visible when you play this game, as the camera zooms around the table all the time. Graphics are truly exquisite and the game has been very well designed for the smartphones and tablets, working on android. The user interface is very nice and controls are simple as well. This game is not available for the players free of cost, though, on the positive side, there is just one standard package for the complete game. It costs $2.99 for the three different tables, each with a theme of its own. 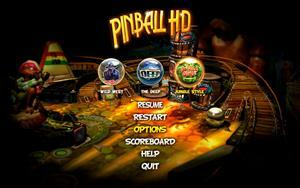 In this way Pinball HD turns out to be a better and inexpensive option over Zen Pinball HD and Pinball Arcade. Just like the above mentioned games, the player will need an android device with version 2.2 and above to download and play this game. This game doesn't have many tables with different themes. Instead, it consists of just one table with different levels to play. New elements are added in the game as you move from one level to the other. The graphics of the game are good, if not great and there are few amazing features. For example, the game table is filled with geometric shapes that move about. Then there are so called bosses in the game that need to be defeated in order to move forward in the game. Now the most positive things about the game – it is absolutely free for the users. One need not shell out any money to play it. The only thing you need is an android device with the version 2.1 and above. This is really good game to play on Android phone. What is the latest version of this android game. How much RAM we need to play this game? You forgot Flappy Pinball. That is also a good game.